Most of us use Bitcoins largely for the anonymity it provides although it’s not nearly as anonymous as it’s perceived to be. It’s only as anonymous as the initial purchase method used to buy the Bitcoins, and that’s exactly the problem I aim to solve in this Smartmix.io review. What I meant in the above sentences is that in most countries users need to provide some kind of Identity proof in order to purchase Bitcoins, once this ID is provided the Bitcoins are linked to the user’s real-identity. From then on, every wallet the above-said Bitcoins go to is logged and transparently made available to just about anyone on the Blockchain. Hence anyone can back-track a Bitcoin transaction and reach the first-purchase point from where authoritative individuals and agencies such as the Govt./ NSA/ etc. can retrieve the identity of the person who purchased those Bitcoins. Why this may be a problem? Well, you can’t use such un-anonymous Bitcoins on Darknet markets, or for anything which you wish to keep a secret from the government. Additionally, the Bitcoin balance of any address can be verified transparently on the Blockchain, and it’s used by hackers to filter out Bitcoin-rich addresses and target them, that’s another problem a Bitcoin mixer like Smartmix.io solves. In a nutshell, Bitcoin does need some protecting so let’s get on with this Smartmix.io review. SmartMix is currently one of the most well-established, trusted and pocket-friendly Bitcoin mixers in the industry, it also doesn’t lack any of the advanced features that a Bitcoin Tumbler should consist of as you’ll soon see (or read) in this Smartmix.io review. How Hard or Easy is it using SmartMix? This section of the Smartmix.io review is for those who think Mixing Bitcoins would need you to have a PhD on Bitcoins, well it doesn’t. Regardless of the extreme benefits Bitcoin mixing provides, the process of doing so on Smartmix.io seemed extremely easy to me. The page is almost self-explanatory, the address-box provided is where users need to enter the output addresses they wish to receive the Bitcoins on. There’s a clearly noticeable “Add Address” button just next to the address-boxes as well which can be used to add additional addresses. And then there are two optional radio buttons, “fast” and “Delayed” (explained in the next section). On the next page users are presented with the basic details such as fee, mixing code and the Bitcoin deposit address where users send their Bitcoins to be cleaned. Simply sending funds to the address displayed on the user’s screen initiates the Bitcoin mixing process and the output is received at the preset times (depending on whether you chose “fast” or “delayed” mode). Well, the “Fast” mode is the fastest way to receive your Bitcoins although the Delayed mode provides more anonymity. That’s so because when the fast mode is used, the Bitcoins are sent instantly to the output addresses ones they get the required number of confirmations. Because the transfer doesn’t have a long-enough gap it still may be linked to the older set of coins. While with the delayed mode, there’s a time-delay between the transactions meaning once your coins are received, they aren’t instantly sent out, rather are sent out at different intervals hence increasing your anonymity. Although it does miss the feature of letting you control the delay by the minute or hour manually, the automated, random-delay actually provides equal if not more anonymity as compared to the manual delay process. Because some users may stick to a pattern, they may set the exact same time-delay for all their Bitcoin mixing transactions which will be easier to recognize as compared to random, automated delays set by the platform. How Many Additional Addresses does Smartmix.io Support? One of the core features of any Bitcoin mixer is the number of additional addresses it supports. The more address the mixer supports, the more anonymity you can hope for. That is because instead of sending all the cleaned coins to a single address, the funds can be broken down into multiple parts and sent to the different addresses, which make it impossible to link the unclean coins of amount X with the clean coins of amounts A-B-C-D and so on. Also, as mentioned in the earlier part of this Smartmix.io review, when your total funds are broken down and sent to many different addresses, it also makes them hacker-safe. As for Smartmix, it supports as may as 5 additional addresses, and it even lets users control the percentage of your total funds each individual address should receive! 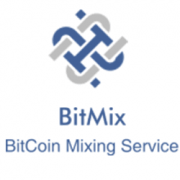 Every Bitcoin mixer has its own confirmation requirements, for Smartmix.io it depends on the mode you selected. For the “fast” mode, it requires 2 confirmations, once the confirmations are reached for your input transaction, the platform sends you a set of cleaned coins worth whatever you ought to receive. While in the delayed mode, the confirmations vary from 5-24, so it requires a minimum of 5 while a maximum of 24 confirmations, and it’s randomized which increases the anonymity. Although the exact number of confirmations required even in the delayed mode is displayed on the Bitcoin Deposit page to keep things transparent. The funds need to be sent to a deposit address within 24 hours of the address generation, in short, each deposit address is valid only for 24 hours, if you can’t send the funds within the time-frame, it’s recommended to generate a new address and not use the old address anymore. How Much Fee Does Smartmix.io Take for Mixing Your Bitcoins? 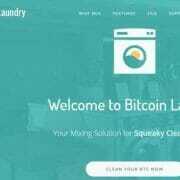 Smartmix.io charges a 0.5% transaction fee on each Bitcoin cleaning transaction, along with an additional 0.0001BTC/extra address. This fee is at par with what most other established Bitcoin mixers in the industry are charging. Although what makes it special is they’ve got an ongoing August 2018 promo, during the promo-period the service fee has been reduced to 0! Meaning cleaning Bitcoins with Smartmix.io during this promo period is absolutely free although the 0.0001BTC/Address fee will still be applied in case of additional addresses. Does Smartmix.io Provide a Mixing Code? 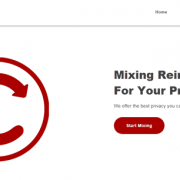 It serves dual functions, first it lets users check the status of their mix, it basically acts as account credentials, only without needing any personal information at all, it identifies you as the owner of the mix and displays the mix status. Secondly, users can get in touch with the support team using the mixing key if there are any questions or confusions regarding a mix. In a nutshell, it’s the only thing that a user can use to verify him/herself as the owner of a certain Bitcoin deposit or mix request. Although usually, the mixing-code helps users prevent them from getting their own coins sent in earlier transactions as the output for newer clean requests, that doesn’t seem to be the case with Smartmix.io, as there is no option to insert a mixing code while initiating a clean request. Although it may (may being the key-word) be manually possible to contact support with your mixing codes and let them know of the two transactions you’ve done so they won’t send your own coins to you. What is the Minimum and Maximum Limit You Can Clean with Smartmix.io? Smartmix.io like most other Bitcoin tumblers has a minimum cleaning limit of 0.001BTC, anything lower than this amount is considered donations and is neither cleaned nor refunded. While the maximum limit depends on the mixer’s Bitcoin reserves at the time of mixing, this limit is shown on the page where the Bitcoin deposit address is displayed. Currently, the limit shown to me is 95 BTC, which I must say is a pretty impressive Bitcoin reserve. This being the last section of the Smartmix.io review, I’ll cover the most important factor-Anonymity. It is one of the most crucial factors when it comes to a Bitcoin Tumbler, isn’t it? 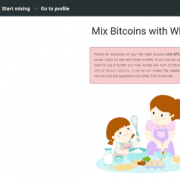 Well, Smartmix doesn’t need users to register in order to mix Bitcoins for starters. Also, absolutely no data which can be linked back to any person in any way is collected or asked for. The only thing required for a mix is the Bitcoin deposit and nothing else whatsoever. And finally, it has a no logs policy and doesn’t keep any logs, neither personal nor related to a transaction any longer than 7-days. The 7-day retention period can be accepted considering how issues may arise during transactions and the support team would need logs to help users out. Throughout this Smartmix.io review, I’ve poured in everything that factors in when deciding which mixer to go with. Smartmix particularly is easy to use, offers both instants as well as delayed modes, and is pocket-friendly. With only 2 confirmations required, its no logs policy and low minimum-high maximum limits it does seem like a pretty good option to go with. Although that being my personal opinion I’d urge you to try the mixer out for yourselves and then let me know your feedback on the Tumbler, as well as this Smartmix.io review.